So a few months ago someone showed a team lineup screenshot from the middle of one game, and there was someone who had TK'd...not one...nor two...but THREE people on his team. Someone in the comment thread proposed this solution: When someone TK's, they become an independent player, not on either team, thereby allowing their (former) team to punish them with no penalty. This is a bad idea. Sometimes people accidentally torp their allies. I've done that myself. That doesn't preclude them from contributing to their team's victory. The VAST majority of TKs are accidents. How does your silly idea fix anything? If it was just one teammate that got TK'd, then let it be. Two or more is where more harsh measures should be taken. I still think this a bad idea, but this is decidedly more reasonable. Regardless of when the penalty was instated, it would just throw the game into chaos. It's dumb. Sorry, but it is. An indy player could reap rewards for continuing to kill former teammates. There were one or two games where someone on my team TK'd and then I tried to point out to the enemy team in chat where they were so they could take the offender "off our hands." That said, there still needs to be a better way of doing this. I also thought of that if someone TK's more than once, it's considered deliberate and they automatically detonate. That will irk some people, but it might work. There were one or two games where someone on my team TK'd and then I tried to point out to the enemy team in chat where they were so they could take the offender "off our hands." That said, there still needs to be a better way of doing this. I also thought of that if someone TK's more than once, it's considered deliberate and they automatically detonate. What the [edited] is wrong with you? Say you're a destroyer and you toss out some torpedo spreads at some red ships. For whatever reason you end up sinking two of your allies. Maybe you didn't aim with enough care or they made last-minute trajectory changes and sailed in front of you torpedoes. Should you detonate in that situation? I don't think so. That will irk some people, but it might work. I think the current system works just fine. Really man ? that's a terrible idea that wouldn't solve anything.. So you admit to openly violating one of the game rules that can get you sanctioned. Hope a mod sends this to support for action. I damaged a NC with torps tonight...I though I could send them by his port side based on his path. He turned in front of them and I didn't have time to warn him. I did 40k damage, didn't sink him, but I received my 8 game penalty anyway. I deserved it. However, I contributed very well to the battle, so the idea that I could have suffered retribution is kinda dumb. I was a productive boat otherwise. The odds of that happening are greater than 1.5x10^1,000,000,000,000,000,000,000,000,000,000,000,000,000,000,000,000,000,000,000,000,000,000,000,000,000,000,000,000,000,000,000,000,000,000,000,000,000,000,000,000,000,000,000,000,000,000,000,000,000,000,000:1. After the conclusion of the game, you get "court-martialed." There, you have a chance to explain yourself, and then you get punished accordingly. This is already sort of what happens. If you TK enough, it gets escalated to support staff, who review your history. That's the point where accounts get banned. And you have the opportunity to appeal, so there is a (sort of) due process. What do you mean by "explain yourself"? To who? And, I very rarely see intentional team damage. Oddly, it happened yesterday. Right before Battle Starts a player on our team apologizes and says they have to leave the match. Battle starts and they say, "But, after just one shot." Then he unloads a broadside into me - I was next to him. The 16k into my Lyon somehow vaporizes him instantly (he had not been pink). Only the second time I have been hit on purpose. 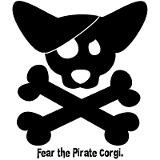 The other time was a few weeks ago as a Corgi Captain. Before Battle Start a team mate says, "I should kill you myself." Then, at Battle Start, he breaks my rudder and knock some HP of my cruiser while saying, "Pull your weight, Corgi!" Thanks. Both incidents were surprising. Had to chuckle at them, though, so they didn't mess up our battle. Likely the 3rd teamkill was killing themselves with reflected damage. Agreed, that part is obvious to most who know how the game mechanic works.